One of the world’s leading annual culinary events is set to take place in Manila in 2015, known as “Visit the Philippines” year, the Department of Tourism (DOT) said. For the first time, the Philippines will be host to the very first Madrid Fusion culinary event, which is attended by elite chefs and experts in the culinary field to discuss trends, evolution of tastes, and new food habits. As early as now, Tourism Secretary Ramon Jimenez Jr. has expressed excitement in welcoming people who are interested in food to visit the Philippines in 2015. 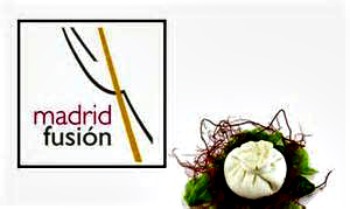 “The whole concept behind Madrid Fusion is to gather the best in culinary arts and get them to share their knowledge,” Jimenez said in a statement. “We believe in the Philippines’ potential to further grow as a center of culinary excellence in Asia, and Madrid Fusion will help amplify that,” he added. Jimenez described the event as “an opportune moment” since 2015 has been declared as Visit the Philippines Year. In Madrid Fusion-Manila, guests can expect a variety of activities including cooking demonstrations, food tasting, and the Trade Exhibition which will feature table accessories and culinary equipment. Last year, more than 400 leading chefs from all five continents performed live culinary demonstrations and memorable presentations on revolutionary techniques. Among these culinary experts included Grant Achatz, Gaston Acurio, Ferran Adria, Juan Mari Arzak, Alex Atala, Nobu Matsuhisa, Heston Blumenthal, Michel Brass, Paul Bocure, Quique Dacosta, Alain Duchase, Joel Robuchon, and Michel Troisgros. In addition to the culinary demonstrations, there have also been master workshops, contests, tastings, tributes, auctions, and exhibitors zone. The event is organized by the Department of Tourism (DOT) and Spanish organizers Foro de Debate, S.L. and Arum Estrategias Internacionalización (Arum). Administrator of Arum, Maria Leonora Esteban in a statement said that Madrid Fusión-Manila is a celebration of the 370 years of Spanish and Filipino fusion. “The idea is that it is the most modern, most cutting edge, and avant garde cuisine brought from the regular traditional cooking to the 21st century - the new techniques, new ingredients to create different textures and different experience to food,” she said.